Thanks to a bright ERR reader, I was alerted to yet another new Rachael Ray cookbook coming out in 2008. Last year, Rachael said she'd be doing only one cookbook a year after Just in Time was released, but it appears that's not the case! Of course, Rachael recently released Yum-o! The Family Cookbook , with all the profits going to Rachael's charity organization. 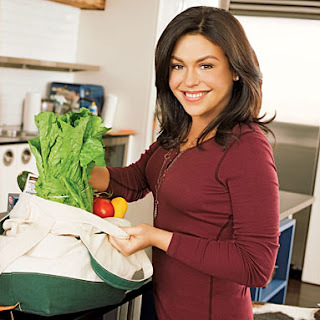 However, on November 4, 2008, Rachael will also be releasing Rachael Ray's Big Orange Book: Her Favorite All-New 30-Minute Meals, Veggie Meals, Holiday Menus, Dinners-for-One, Kosher Meals, Rollover Menus, and Much, Much More!. The previous title was "Rachael Ray's Kitchen Companion: More Than 200 All-New 30-Minute Recipes and More," but I guess they decided that wasn't long enough. I'll be watching for this one! Thanks for sharing this bit of news! Yay! Her cookbooks have never let me down. Rach is going to be signing her book at a local bookstore today, this is gonna make my weekend. Tell us how it goes, Scott!